Even though the Middle East is not thought of as a significant chocolate producer, in recent years there has been an increase in production. From international companies setting up factories in the region, to the emergence of local small-scale organizations, there is an awareness of an expanding market and demand for standard and luxury chocolate. However, there is a lack in transparency, awareness of the supply chain, and even sourcing of the cocoa beans. This is changing slowly in recent years with the emergence of local bean-to-bar companies that realize that there is a gap in this regional market. Image: Kids Chocolate Activities at CTC Festival in Qatar. Furthermore, in 2014, Mars GCC invested a further $60m to expand the Dubai factory, adding new production lines for its Snickers chocolate bars, making the total investment over $160 million. Chocolate sales in the Middle East and North Africa were expected to reach $5.8 billion in 2016. The company opened another factory in the region, with a $210m investment, the US confectionary giant built a state-of-the-art $60 million manufacturing facility at King Abdulla Economic City, to create the popular Galaxy and Galaxy Jewels chocolate bars. (McGinley) However, Mars GCC omits important information regarding cacao sourcing, fair trade techniques and overall transparency as the case in most Mars branches. When it comes to local chocolate companies in the region, there is a lack of transparency and more of a focus on the luxury side, emphasizing chocolate from Belgium, Switzerland, and France. Terroir is not a factor in this market. The connection that is most emphasized is the European production, as stated in most company profiles. There is a general misconception that chocolate imported from these countries, no matter the source of the beans, are automatically of better quality than chocolate produced locally. (“Ali Al-Kazemi..”) This is the case with the chocolate producer, AlKazemi in Kuwait. With the factory now supplying 60%-70% to coffee shops or companies in Kuwait, and the rest to other Gulf countries. New chocolates are produced daily to suit new tastes, and the company produced its packaging in house as well. (“A Tour of Alkazemi…”) By producing high quality chocolate in the region, they are trying to challenge these misconceptions. I spoke to one of the owners of the chocolate company in Kuwait named Silverenia. It is known in the region for its unique shaped chocolates, local ingredients, as well as seasonal flavorings, such as cotton candy. It’s biggest markets are within Kuwait, Qatar, and Saudi Arabia; with the most in demand occasions being weddings and newborn celebrations. The owner stated that their chocolate is imported from Belgium, Switzerland, and France; thus, he was not sure of the source of the beans, and stated it may have been African. The company uses couverture tempering method to shape their chocolate into elaborate shapes, where the designs are made in house and are updated every year. More regional companies emphasise the European connections of their chocolates. In Qatar, the chocolate producer Kaafe, established in 2011, sells “premium hand-made Belgian chocolates” with an “Arabic taste”. It also does not name the source of its cocoa beans, but emphasizes that it boycotts companies that rely on child labor and slavery farmers. (Qatar Tribune) Another chocolate company in Bahrain, Chocolate & Co, focuses on premium chocolate, combining skillful artisans with a state-of-the art manufacturing process, to make products out of “fine Belgian chocolate” and quality ingredients from around the world. (“Our Story”) Also, most of the other chocolate producers in the region, such as a number in Saudi Arabia, focus on their story, their market, and means of production; but do not address any sourcing or ethical concerns. (Saudi Chocolate Factory, Badr Chocolate Factory, Bostani). The luxury chocolate market has been expanding over recent decades in the region. Studying the psychology of consumer behavior, reveals three distinct types of buyers, the convenience, value, and luxury buyer, all with different behaviors and demands. The luxury buyer has been increasing in developing and developed economies with the idea that expensive chocolate is an affordable luxury. (El-Khazindar, 79) Dubai announced the launch of the Middle East’s most expensive chocolate. The French company Debauve & Gallais’s box is the sixth most expensive chocolate in the world (Bhoyrul). Even brands such as Godiva and Lindt are becoming almost mass market, as consumers develop a taste for everyday glamour. In the last decade, there has been a strong segment of the market that seeks these luxury chocolates. (El-Khazindar, 46) The emphasis on luxury, local spices and ingredients on the company profiles seems to be the main information presented for these chocolate companies in the region. What is the significance of this region in needing to address ethical factors in its chocolate production and supply chain? As we have seen the region is growing in chocolate production, locally and internationally. Big name companies are investing in factories to cater to the region, while small companies are being established as well. The companies in the region need to factor in organic, fair trade, and direct trade for their many benefits (when established correctly). Fair trade improves lives and protects the environment, as well ensures quality products. It helps farmers in developing countries build sustainable businesses that positively influence their communities. By establishing Fair Trade in the region, there can be a long term direct trading, ensuring prompt payment of fair prices and wages, no child, forced, or exploited labor, safe working environments. Also, an emphasis on the importance in traceability and transparency. Direct trade can lead to the companies in the region to remove the middle man of Europe and to promote direct communication and price negotiation between buyer and farmer, along with systems that encourage and incentivize quality. It is also important as it challenges the geographical indexing of our world of the global south vs. global north in the context of the chocolate industry. The fact that the Middle East is in the middle of these two regions, it could positively affect the global south in its reforms, and eradicate many problems that face under appreciated chocolate farmers. (Alternative Trade Lecture Slides). Image: 1,000kg Chocolate Cake on Display for Ramadan in Dubai. The GCC’s has had a growing importance in chocolate production and as a consumer market in recent times. With many companies within the region and outside of the region catering to its growing standard and luxury consumer market. However, the ethical concerns, emphasis on organic, fair trade, and terroir does not receive adequate attention in the region. The main indicator of quality to these companies is the manufacturing, and importing of chocolate from Belgian, Swiss, or French sources as an indicator of luxury, despite where the beans come from. There is an awareness that is slowly emerging and should increase once consumers are completely aware of the differences, the ethical issues that plague the cacao industry, and demand that the companies contribute more positively to farmers, in eradicating poverty, child abuse, and other labor issues. Poelmans, Eline and Johan Swinnen. “A Brief Economic History of Chocolate”. The Economics of Chocolate. Ed. Mara P. Squicciarini and Johan Swinnen. 2016: Oxford University Press. El-Khazindar Business Research and Case Center. Entrepreneurship in the Arab world. 2016: The American University in Cairo Press. Interview with the manager of Silverenia conducted over the phone on May 2, 2018. Professor Carla D. Martin. Lecture Slides: “Alternative trade and virtuous localization/globalization”. Harvard University. 04 April 2018. The chocolate industry is evolving. Though major companies like Hershey and Mars have dominated it for its entire existence, new artisan or boutique chocolatiers are appearing, ready to challenge them for supremacy. The idea of small, local competition is nothing new for the behemoths, who had to combat independent grocers earlier in the 20th century. These new companies are more legitimate than an independent grocer, though. Some, like Taza, experience enough success that they grow into fairly large companies, and others, though they may remain small, still carry a distinct air of legitimacy. These two sectors are quite different in scale, so how do they differentiate themselves in terms of how they advertise themselves to customers? Historian Emma Robertson notes that, “chocolate has long-standing associations with female sexuality” and discusses how this manifests itself in chocolate marketing in her book, Chocolate Women and Empire: A Social and Cultural History (Robertson, 1-3). Though these sexualized undertones are strong throughout the chocolate industry and sometimes become painfully explicit in advertising, I will not focus on them here. Instead, I will be concerned with how the two sectors of companies differentiate themselves from each other in how they discuss and market their products. My two main examples will be Jacques Torres Chocolate and two subsidiaries of Mars, Dove and Galaxy. On the whole, the Jacques Torres material focuses on the quality of the product and the personality of Torres, while the Mars subsidiaries focus on chocolate’s larger connotations and its idealized worlds, which represents an evolution in the larger cultural discussion about chocolate in advertisements. Historically, these two subsets of the chocolate industry have had to jointly combat the stigma of adulteration. Chocolate contains a multitude of ingredients, which, dating back to Cadbury in 1869, have a long history of being adulterated to cut costs. In her article “Blame Candy” in The Chronicle of Higher Education, Samira Kawash reports that, “candy makers were suspected of cutting corners… [and] boosting the bottom line by adding fillers like plaster or sawdust…, replacing chocolate with wax or nuts with cardboard, employing toxic dyes to create eye-catching colors” (Kawash). Though large companies like Cadbury were often implicated, this stigma was attached to all chocolate, including chocolate made by independent producers. One newspaper ad from the early 1900’s produced by Mars was entitled “You’ll Never Sell Her Cheap Candy Again” and introduced a short vignette with parents blaming their daughter’s stomach ache on cheap candy purchased at the local corner store, as opposed to the fine Mars products that “give you more quality” (Proquest Database). The branding war between large companies and small, independent producers, then, is nothing new. Not only did small grocers and large companies compete over who would be stuck with chocolate’s negative associations, they also have differentiated themselves in their advertising for as long as chocolate has been mass produced. In their book Chocolate: History, Culture and Heritage, Louis Evan Grivetti and Howard-Yana Shapiro note that in the late 1800’s, chocolate “manufacturers would supply retail merchants with large chromos [small cards with designs and advertisements on them] to stimulate sales.” While, “Victorian sentimentality prevailed” with larger chocolate companies’ ornate designs, the authors note that, “cards for grocers were much more business-like,” and often just listed prices or products (Grivetti & Shapiro, 185-7). This difference in marketing was probably merely one of necessity, as the smaller grocers could not afford the ornate designs of the larger companies. The underlying trend, however, of smaller chocolatiers focusing on their product exclusively and bigger companies worrying more about its connotations and ancillary benefits, persists to this day. In 2016, the two groups wage a similar war, one that is played out online and on television as opposed to in newspapers. On Jacques Torres’s website, the company asserts itself as a provider of high quality, artisan, hand-crafted chocolate. The most subtle way it does this is through its name. Jacques Torres, nicknamed “Mr. Chocolate” is a relatively famous personality, but Torres’ name gives the company clout even independent of his reputation. The fact that the company is named after a specific person makes the customer feel as though they are personally interacting with Torres every time they engage with his company. It adds a level of personality and specificity that a big company cannot match. The “About Us” section goes on to detail Torres’s many accomplishments in his culinary career, granting him an air of absolute legitimacy. Nothing Mars puts out can compete with something personally crafted by an award-winning French chef. The section goes on to write that, “Jacques Torres Chocolate is proud to produce real food bursting with real flavor made without taking any shortcuts or adding any preservatives, extracts or ‘essences. '” Here, the company is appealing to the fraught history of chocolate, and assuring potential customers that they have no part of that. Jacques, it seems, is above such tricks. Other parts of the website underscore this point. In the picture above, Torres appears to be in touch with nature, and therefore healthy. The About Us section does claim, after all, that Torres’ chocolate is “better for you”. Though it does not elaborate on exactly what the chocolate is better than, any discerning chocolate customer may easily guess. The section closes with the words, “Real. Authentic. 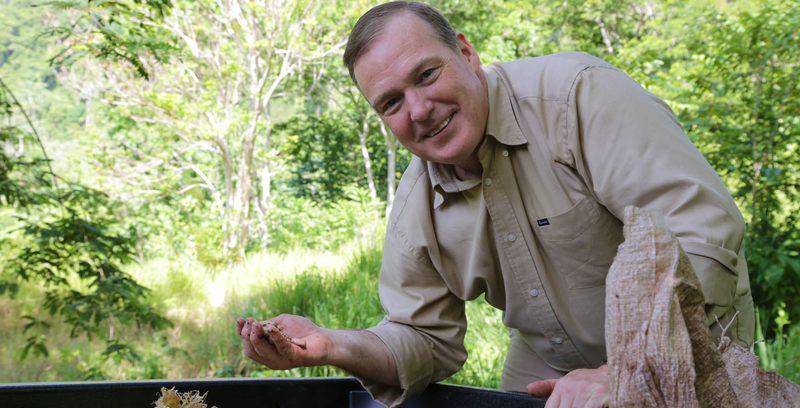 Original.” All of these words are variations on the same idea, which is that Jacques Torres chocolate creates a personal connection with the customer, and leverages that connection to gain legitimacy. The video appearing prominently on the site achieves a similar effect. This video is something called “A Taste of The Terminal”, and was produced by Grand Central Terminal. In its decision to include it in their website’s promotional material, though, the company elaborates upon the personableness and legitimacy that it has built in its “About Us” section. First, Jacques seems eminently likable. He is very nice to all whom he interacts with, posing for pictures and doing fist bumps with random strangers. The viewer wishes that he or she could have been in the station when he was handing out his crepe samples. Perhaps oddly, though, the video does not discuss chocolate much. The main focus, one could argue, is crepes. Here again, though, the company has shrewdly positioned Jacques as a culinary authority, a master of all. In establishing his ability as a maker of crepes, the video has established his ability as a chef overall, which makes him seem even more legitimate to a customer. Through all of his company’s promotional materials, Jacques Torres appears as a world-renowned pastry chef, who has come to personally cater to his customers’ needs. Mars company, on the other hand, cannot quite compete with Jacques on a personal level. What it can do, is emphasize certain connotations about its products and those that eat them. According to an article in the advertising journal The Spot, this advertisement was meant to “give the brand a fresh look, and spur more everyday purchases by customers” (Nudd, The Spot). The advertisement accomplishes this goal by using actors that appear more normal and even quirky. These are not the “classically” beautiful models from stereotypical perfume or chocolate commercials. The decision to film the advertisement as a stop-motion movie increases the quirkiness of the environment, and makes the magical enhancement of the environment by the characters seem more normal. The advertisement ties in these environmental expansions by telling the viewers, “It’s always better when there’s a little more to love”, connecting the bigger bar with the bigger landscape features. This advertisement is working on a much more implicit scale than the Jacques Torres promotional material, though. Whereas Torres touts the craftsmanship of the product and the legitimacy of the chef, Dove focuses on an idealized vision of the world in which its chocolate exists. If you want to live in that world, then you want to eat Dove chocolate. The vision of an idealized world shines through even more clearly in this Galaxy advertisement, which Dove also used a shortened version of in America. The actress depicted is Audrey Hepburn, who has been CGI’ed into the scene. This detail already sets up the world as a sort of idealized fantasy-land, as Hepburn, long dead, could not possibly appear in a new advertisement–and yet, there she is. Inspired by her Galaxy bar, Hepburn leaves her bus and gets into the back of a man’s car and speeds away from a generic quaint European town into a generic quaint European countryside. The slow fade-in of the song, which is “Moon River”, a song from one of Hepburn’s most famous films, Breakfast at Tiffany’s, increases the sentimentality, as non-diagetic sound gradually overpowers diagetic sound. In this fantasy-land, Galaxy chocolate reins supreme. It has driven Hepburn to act boldly and run away with the man of her dreams (we may assume). People who would like a window into such a world or perhaps to be like Hepburn must eat Galaxy chocolate in order to attain such dreams. The central difference between the Dove and Galaxy advertisements and the promotional material for Jacques Torres is that the Jacques Torres material focuses on the quality of the product and the Mars subsidiaries focus on its connotations. It seems that now, with chocolate under fire as an unhealthy food, the smaller artisans are attacking that stigma head on, while the larger companies are skirting it entirely and trying to reframe the conversation around not what chocolate contains, but, rather, what it means. Mars’ side-stepping of the debate positions it not so much as a food company, but as a lifestyle company. If you want to eat well, eat Jacques Torres. If you want to live well, eat Dove and Galaxy. Kawash, Samira. “Blame Candy.” The Chronicle of Higher Education 60.08 (2013). Biography in Context. Web. 12 Mar. 2016. Nudd, T. (2012, Apr). The spot: Heaven on earth. Adweek, 53, 11. Retrieved from http://search.proquest.com.ezp-prod1.hul.harvard.edu/docview/1008667105?accountid=11311. Chocolate and sugar consumption were both generally trending upwards as the 20th century began, and attitudes about both goods were in flux. People were obsessed with pseudo-scientific categorization of their foods, in both moral and Humoral schemes. Chocolate and sugar, relatively recent imports that defied easy categorization, were a challenge. However, the Industrial Revolution brought these foods to the forefront of the consciousness of many countries, particularly America, as it allowed them to be mass-produced. Giant candy companies like Mars and Hershey grew to prominence and began to saturate the market. These companies had to try to shape their own public perceptions to combat prejudices and increase sales, though. In particular, the early 20th century was characterized by a war over the purity of chocolate between chocolate advertisements and American moralists, particularly those in newspapers. The fate of a potentially multi-billion-dollar industry hung in the balance. The moral trepidation about chocolate and its big companies can be traced back to European roots. The Cadbury Company faced a debilitating scandal in the mid-1800’s when a Lancet study found that they were using brick dust and other impure items in their chocolate; furthermore, Cadbury was accused in the early 20th century of procuring raw materials from Brazilian islands Sao Tome and Principe, where slavery was still practiced (Lecture Notes). Though Cadbury earnestly tried to combat this stigma, the idea that chocolate companies were immoral remained omnipresent in society afterwards. Cadbury’s issues of adulteration plagued its American cousins, too. In her article “Blame Candy” in The Chronicle of Higher Education, Samira Kawash reports that, “candy makers were suspected of cutting corners… [and] boosting the bottom line by adding fillers like plaster or sawdust…, replacing chocolate with wax or nuts with cardboard, employing toxic dyes to create eye-catching colors.” American candy makers were accused of dishonesty, a practice that seemed especially immoral when one considers that their main consumer base was children. To make matters worse, as the same author reports in a different article for The Journal of American Culture, entitled “The Candy Prophylactic, Danger, Disease, and Children’s Candy Around 1916”, a sudden epidemic of infant paralysis in 1916 was incorrectly blamed on food adulteration in the candy industry. Indeed, as Kawash notes, “if one were to read the daily papers, it was a miracle that any candy-eating child survived.” Indeed, investigation into contemporary newspapers reveals a multitude of headlines linking candy with death. Some include, “Baby Chokes to Death on Peanut in Candy” (Chicago Tribune, July 13, 1925), “Boy Eats Candy, Dies” (Washington Post, June 26, 1921) and “Seven Escape Death From Poisoned Candy” (Baltimore Sun, January 5, 1924). The immorality of candy did not even stop with adulteration of food. In 1937, New York mayor Henry LaGuardia declared war on New York penny candy sellers, claiming that they were taking advantage of children by selling them candy with the lure of potential prizes to lucky purchasers (foodtimeline.org). In the 1920’s and 1930’s, candy had an image problem. This full-page advertisement painstakingly spells out to consumers why Loft candies are different. The banner at the bottom proclaims that “Pure Candies are Better For You”, and Loft reiterates this by proclaiming its candies are “absolutely pure” in the text of the ad. Furthermore, in its proclamation that it doesn’t charge consumers for the box, Loft distances itself from any demonizing accusations about cheating consumers. The idea of Loft being a company that treats consumers right reappears in later Loft ads, like this one. The banner at the bottom proclaims that, “Loft has 150 stores to serve you right” and the emphasis on the ad remains firmly on the consumer, who is addressed with repeated use of the word “you”. Phrases like “You’ll find that Loft is the best candy for you” and the “Loft Guarantee” that “if you ever ate better candies at double the price, bring back the empty box and Loft will cheerfully refund your money.” The implication here is that Loft is not a company out for its own selfish aims—it simply wants to give you the best candy possible. Large candy companies even went to lengths to deflect the negative stereotypes associated with candy onto their local competition. Though big companies were implicated in impurity accusations, they wanted to perpetuate the narrative that bigger company products were more reliable than shoddily-crafted corner store alternatives. One Mars ad provides an example of such practices. With a full page to work with, this ad utilizes a multitude of tactics in order to get its point across. It underscores traditional notions of maternal mothers watching out for their children and paternal fathers understanding how business works. It makes the point that not only is the candy-maker in question immoral for cutting corners in his production, he is a bad businessman for not selling Mars bars, which would sell out quicker. The implications of the ad are strong. Mars bars are reliable and delicious—it is the alternatives that parents should worry about. In the 1920’s and 1930’s, American chocolate companies sought to distance themselves from notions of impurity and impropriety that had long pursued their brands. Newspapers and moralists were quick to blame candy companies for deaths and the degradation of society, and chocolate companies sought to break this narrative in their print advertisements. This war determined the future of the candy industry, which, thanks in large part to its less deadly current reputation, is thriving. “Display Ad 58–No Title”. Daily Boston Globe (1928-1960); May 18, 1933; ProQuest Historical Newspapers: The Boston Globe. Chocolate was introduced to Europe in the 16th century but it was not until the end of the 20th century that the godly good made its way to China. By the end of the 20th century, China had undergone dramatic social and economic expansion, and the world’s largest chocolate companies (the “Big Five”: Ferrero SpA, Cadbury, Hershey Co., Nestlé SA, and Mars Inc.) recognized the potential of introducing chocolate to the Chinese market (Allen 202). At the time however, chocolate had no history or tradition in China, thus highlighting the importance of finding a meaningful way of introducing the good. The “Big Five” companies needed to have a profound understanding of cultural differences in order to do so (Nelson). Moreover, these companies faced numerous challenges in regards to supply chain management and distribution. Depicting how global chocolate companies attempted to gain commercial success in China highlights the intricate nature of developing into an emerging market. This also enhances our understanding of the strategies these companies will embrace as they expand further. Culinary traditions were very different in China and chocolate companies were challenged to find a meaningful way of introducing chocolate to the Chinese market (Allen 23). The big five chocolate companies recognized that gift giving was universal throughout China and could serve as the cultural gateway for introducing chocolate. With this is mind, chocolate companies targeted their marketing efforts toward affluent Chinese consumers and developed elaborate packaging designs to appeal to this consumer base (Allen 25). Although many affluent Chinese consumers were willing to justify the expense of chocolate for gift giving, chocolate companies recognized that self-consumption could generate even greater profits across a variety of social classes. In established markets in other countries, self-consumption accounts for approximately 90 percent of total sales (Allen 26). In China in the 90s however, gift giving accounted for more than 50 percent of total sales, thus highlighting enormous potential for expansion into the self-consumption market! China’s economy grew substantially in the 1990s and consumers subsequently started having more pocket money. In addition, young Chinese started familiarizing themselves with Western culture and food. These social and economic changes conveniently facilitated the introduction of chocolate to the mass market in China (Allen 27). Mars was the official sponsor and exclusive supplier of chocolate bars during the 2008 Olympics in Beijing, representing one of many successful recent marketing initiatives. In addition to recognizing the value of branding, Mars has also undergone some organizational changes that lowered distribution costs. The recent acquisition of the gum company Wrigley’s, resulted in the formation of the leading retail confectionary company and gave Mars extensive distribution and sales operations networks (Allen 211-212). This recent merger ultimately allowed Mars to strengthen the company’s position as the leading chocolate company in China. This campaign, which encourages consumers to create a love art piece by using Dove’s boxes, went viral on social media, exemplifying the success of Mars’s marketing efforts. Today, the Chinese chocolate market represents a relatively small share of global chocolate consumption. However, the country’s sales potential is huge, given that a larger proportion of the country’s population is becoming potential chocolate consumers (Allen 202; Cohen). During the last three decades, the “Big Five” companies have built brand awareness and it seems unlikely that other global chocolate companies will be able to break into the market (Allen 22). Although local Chinese competitors have lower operating costs and can thus set lower prices, it seems unlikely that these companies are an immense threat to the “Big Five” (Allen 213). China’s market has enormous growth potential and there are two major strategies that chocolate companies can adopt to strengthen their position. First, chocolate companies should sustain business in first-tier cities and fine-tune sales and marketing efforts (Allen 202; Nelson). Secondly, chocolate companies should consider expanding to second-tier cities (Allen 202; Nelson). Supermarkets represent a new exciting distribution channel, but it will be imperative to address challenges in regards to infrastructure and product innovation to respond to the preferences and price-point of the new consumer base. To wrap up, there is seemingly no simple recipe for success but companies that are sensitive to the varied demands of the Chinese consumers are more likely to unleash the full potential of the market. Allen, Lawrence L. Chocolate Fortunes: The Battle for the Hearts, Minds, and Wallets of China’s Consumers. New York: American Management Association, 2010. Print. Cohen, Luc. “China Chocolate Market Seen Growing to $4.3bln by 2019-Hershey.” Reuters. 18 February 2015. Web. 11 March 2016. Lannes, Bruno, and John Blasberg. “Gold Medal Brands.” Bain & Company Insights. July 1 2008. Web. 11 March. 2016. Nelson, Christina. “Chocolate Fortunes.” China Business Review. July 1 2008. Web. 11 March 2016. Chocolate Heart. Digital Image. http://www.publicdomainpictures.net/view-image.php?image=20869&picture=chocolate-heart. Web. 11 March. 2016. Kestrel Lee. “Dove Chocolate’s Valentine’s Day Campaign”. Online video clip. YouTube. YouTube, 9 January 2012. Web. March 11. 2016. Despite chocolate’s wide availability in Mayan culture, the European chocolate experience was much like that of the Aztecs: chocolate was mostly a drink restricted to the elite. Eventually, however, chocolate would spread to every strata of society and even to countries that previously rejected the chocolate tradition. How did chocolate win over the economies and hearts of cultures worldwide? Chocolate’s expansion beyond Europe was made possible by two factors–mechanization and culturally-relevant marketing strategies. In the Baroque era, chocolate failed to become a popular drink outside of Europe (Clarence-Smith). Even inside Europe, chocolate had to fight for attention with tea and coffee, two other foods that were held in higher esteem. In fact, while chocolate was associated with aristocratic excess, tea and coffee were seen as drinks that represented “sobriety, serious purpose, trustworthiness, and respectability” (Clarence-Smith). Art depicting chocolate during this era reflects how chocolate was seen as part of a ritual reserved for higher-class persons, especially women (see media below). However, in areas under Spanish influence (such as the Phillipines), chocolate enjoyed a strong favoritism among the population. Yet chocolate would fail to take root as a popular food in the rest of Asia, perhaps due to the overwhelming Confucian tea tradition prevalent in East Asia. Woman pouring chocolate from a 18th-century painting. Wikimedia Commons license. But the mid-1800’s would see the beginnings of a revolution that would allow chocolate to be made cheaper, to be molded into unique forms, and expand beyond the higher and middle classes. The invention of conching, powdered forms of cocoa, and chocolate in bar form allowed chocolate to be made more rapidly and at a price point that was friendlier to the lower classes. At the same time, chocolate began being revered as a source of protein. “British workman cocoa houses were” being built to cater to the common laborer (Clarence-Smith) and militaries began providing chocolate bars as part of soldiers’ rations. As a result of falling prices and more diversification of chocolate forms, lower classes could afford more of the substance in chocolate’s various incarnations. Advances in transportation and a move towards closed storefronts allowed chocolate to travel intact across countries and into the hands of consumers (Goody). Despite the lower prices for chocolate and its increasing ubiquity thanks to mechanization, markets in East Asia remained closed to chocolate companies until well into the 20th century. By this time, America was thoroughly hooked on chocolate, with even the National Confectioners’ Association running ads encouraging the daily partaking of chocolate (Martin). Mars was the first to attempt to bring this type of campaign to East Asia. Mars’ executives knew that China held an untapped chocolate market, and they decided to make a splash by using big marketing tactics. Mars’ first move was establishing a representative office in Beijing during the Asian games and sponsoring sports—which led to M&M’s becoming the official snack food of the 1990 Games. Other chocolate companies were also eager to move into China and East Asia, and they incorporated several clever marketing strategies to fuel Asian consumers’ taste for chocolate. In the 1950’s confectioners hit upon a marketing nerve that resonated with Japanese consumers: they marketed Valentine’s Day as a chance for women to show affection towards men. For a woman to reveal her feelings towards a man was considered radical in Japanese culture at that time. Confectioners cleverly created a day where it was “acceptable” for women to express their feelings (Just Hungry). This type of marketing tapped into cultural traditions and expectations, showcasing how confectioners adapted to the culture of East Asian countries in order to make sales. Confectioners also used unique marketing strategies such as sponsoring an artist who went viral with his design for a heart-shaped carriage (Martin). By tapping into cultural mindsets and encouraging grassroots expansion, chocolatiers were able to edge into the Asian market. Today, chocolate is finally hitting the sweet spot in Asia. Confectioners have expanded on the practice of “obligation” gift-giving in certain cultures and heavily marketed occasions where chocolate gifts are an obligatory treat. 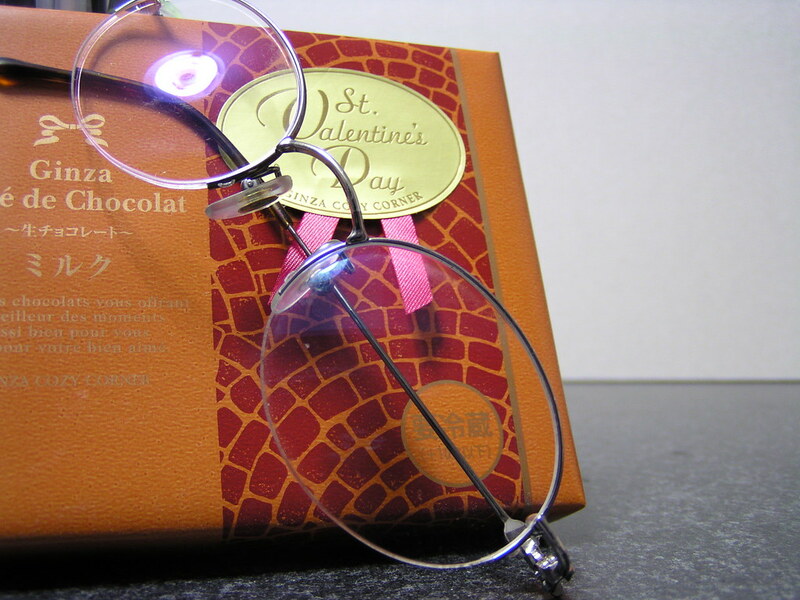 For instance, on Valentine’s Day, women in Japan are expected to give “giri chocolate” to males to whom they have no romantic feelings whatsoever, such as their bosses or mentors (Just Hungry). Marketers have gone even further and created a “White Day” where men could return the favor and gift women with chocolates and candy. Here is a photo of giri choco, which is Japanese for “obligation chocolate”—the kind of chocolate women must give to men whom they have no romantic interest in. Flickr attribution/non-commercial license. Far from being an elite food today, chocolate has crossed from the drawing rooms of Spanish and French nobility and emerged as a global product. Its entrance into East Asia was facilitated by 19th century advances in production and enabled through the use of marketing tactics that created a cultural fever for the sweet treat. Clarence-Smith, William Gervase. Cocoa and Chocolate, 1765-1914. 2000. Print. Goody, Jack. “Industrial Food: Towards the Development of a World Cuisine.” 2013 (1982). Print. Just Hungry. “The Japanese Valentine’s Day tradition of compartmentalized chocolate giving.” 8 Feb. 2016. http://justhungry.com/uniquely-japanese-valentines-day-tradition-compartmentalized-chocolate-giving. Online. Martin, Carla. “Chocolate, Culture, and the Politics of Food Lecture Slides 2016.” 2016. Online. Walk into any convenience or grocery store in the U.S. and you will likely be greeted by a display of brightly wrapped candies. Many of these contain chocolate; a 2012 Bloomberg study found M&Ms to be the top-selling American candy, followed by Reese’s Peanut Butter Cups, Hershey’s Milk Chocolate, and Snickers Bars (Arndt). All four of these products are marketed as chocolate-based sweets, but it is sweetness, not chocolate, that seems to be the main focus. The nutrition label for a Hershey’s Milk Chocolate Bar, for example (pictured right), lists sugar as the primary ingredient, and then milk. Only after these two does chocolate appear. The addition of sugar and milk to eating chocolate goes back to the 1800s, largely motivated by that fact that, in a trend that continues to this day, cacao was more expensive than sugar or milk. It was the relative cheapness of the latter two ingredients that allowed for mass production – and thus true mass consumption – of eating chocolate from the late 1800s onwards. As the list of candies above attests, this combination still shapes modern chocolate preferences. Peter’s Milk Chocolate was the first of its kind to be created. This advertisement draws on words like “smooth” and “creamy” to draw customers in, adjectives that are still associated with milk chocolate. The relatively lower price on this and subsequent milk chocolate bars meant they could be marketed to customers other than the very wealthy. powdered milk, and the first milk chocolate bar – an advertisement for which is shown on the left – a joint creation of Nestlé and Daniel Peter, was born in 1879 (Coe and Coe Ch.8, “Switzerland”). From 1903 onwards, Milton Hershey built his company around milk chocolate and cocoa powder, though he developed his chocolate using liquid condensed milk rather than the powdered variety. Liquid milk was easier and faster – and therefore cheaper – to transport from one end of a factory to another, allowing Hershey to make and sell his products domestically for a lower price (D’Antonio 107). continues on in today’s market, as shown by the provided graphs (cacao above right, sugar on the left). At its lowest price between 2006 and 2012, a ton of cacao cost over 15,000 USD; by contrast, at its highest price over the similar time period 2002-2009, a ton of sugar (after conversion from cents/lb) could be bought for less than 500 USD. Milk and sugar were thus cheaper to obtain for companies looking to mass produce chocolate after the late 1800s. This made sweet milk chocolate less expensive to make than dark chocolate, which required more chocolate liquor. By the same token, it also meant milk chocolate could be sold at lower prices, making it attractive and accessible to consumers. Where before chocolate had been largely consumed by the wealthy, Hershey’s bars could be bought for only a nickel in the 1920s, a very affordable fee for the average person (Brenner 55). Cost was thus an important consideration on both sides, as the success of Mars’ Milky Way further demonstrates. Created in 1924, the Milky Way “tasted just as chocolatey” as a bar but was much less expensive to manufacture (Brenner 55). It’s main ingredient was nougat, “a whipped filling made of egg whites and corn syrup,” with only a thin chocolate casing (Brenner 54). Nougat was cheaper to produce than chocolate, and so Mars could make Milky Ways much bigger than traditional chocolate bars for the same expense. Consumers loved the candy for its price, size, and sweet taste; another Mars creation, the Snickers bar, enjoyed similar success, and continues to be the fourth best-selling candy in the U.S. (Arndt). Today, milk chocolate candies remain vastly more popular than their dark chocolate counterparts. Although price remains a factor, a major reason for this is the acquired tastes of consumers for sweeter chocolate. It is expected that candy and chocolate will be packed with sugar, and this assumption stems from over a century of eating the sweetened milk chocolate of Hershey’s, Mars, Cadbury, and other such companies. The practice of adding milk and sugar stemmed from the cost of these ingredients relative to cacao, and what began as a method for cheaply producing chocolate has grown to shape the Western world’s perception of chocolate. Although dark chocolate has a strong following, milk chocolate still reigns supreme. Arndt, Michael. “America’s 25 Favorite Candies: Top-Selling Sweets.” Bloomberg.com. Bloomberg. Web. 07 Mar. 2016. <http://www.bloomberg.com/ss/09/10/1021_americas_25_top_selling_candies/index.htm&gt;. Coe, Sophie D., and Michael D. Coe. The True History of Chocolate. 3rd ed. London: Thames & Hudson, 2013. E-book. Hershey Bar Nutrition Facts: “Hershey’s Milk Chocolate Bars, Six 1.55-Ounce Bars – MyQuickMart.” MyQuickMart. Web. 08 Mar. 2016. <http://www.myquickmart.com/products/034000290055&gt;. Peter Milk Chocolate Advertisement: “Milk Chocolate – History of Milk Chocolate.” What’s Cooking America. Web. 08 Mar. 2016. <http://whatscookingamerica.net/History/MilkChocolate.htm&gt;. Cocoa price graph: “Cocoa Growing Region.” Web. 08 Mar. 2016. <http://www.thaiembassyuk.org.uk/activities/cocoa-growing-region&gt;. Sugar price graph: “Imbalance between Supply and Demand Drives Sugar Prices to 28 Year High | Economics.” Web. 08 Mar. 2016. <http://www.tutor2u.net/economics/blog/imbalance-between-supply-and-demand-drives-sugar-prices-to-28-year-high&gt;.